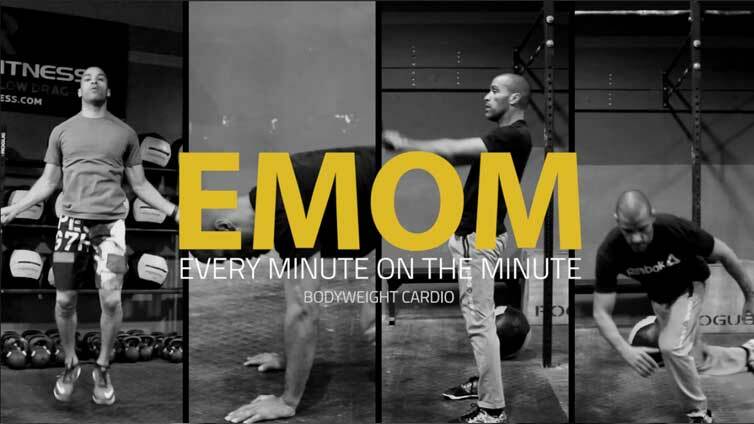 This is an EMOM that will require no additional equipment, just your own bodyweight. This workout has kettlebell swings, but if you wish you can replace them with bodyweight squats. Bodyweight EMOMs are very handy due to their versatility and convenience. They don’t require a whole lot of space and you can do them virtually anywhere. You can do them in the gym, at the park, at your hotel room or at your house. Even though they are bodyweight, don’t be fooled, these workouts can be very intense. If you push yourself and focus on working through a full range of motion, then this workout will prove to be truly effective. The goal of this particular EMOM is to maximize calorie burn. If you can’t jump rope, then hop in place. Mountain Climbers can get your heart rate through the roof. One particular problem I notice when people do this exercise, is that they hop their legs and round their lower back. If you can’t clean up your form then regress the movement by placing your arms on a higher platform, stable box, or bench. 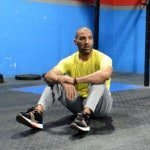 Here’s a great video by my friend Nick Tumminello showing the proper form for mountain climbers. If you can’t do kettlebell swings, then do really fast goblet squats. Here is a quick look on the dos and don’ts of kettlebell swings. Skaters aren’t too difficult to execute properly. Perhaps at the beginning your skaters might look a bit clunky, but with some practice and confidence, you can do them in no time. A great idea is to use a timer with your EMOM workouts. That way you can just set it and forget it. If you plan to get or already have the Seconds Pro app, then you can download the timer below. Simply import it to your smart phone or tablet hassle free. Or if you want you can simply use any other timer you want and enter the parameters listed above. Here’s a short video showing you how to download and import the timers: Downloading and importing timers.